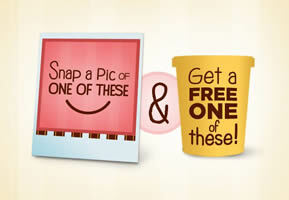 FREE Cup of Edy’s/Dreyer's Slow Churned Light Ice Cream! Wow! Upload a photo of yourself smiling on Edy's Facebook page and get a coupon good for a free cup of Edy's/Dreyer's Slow Churned Ice Cream!